The Dyson DC25 vacuum, at 7.4kg, is probably one of the most functional of the Dyson range, yet is remarkably light considering the spec. Not only is it only 11kg in weight, but it includes features like Dyson’s famous Root Cyclone technology, the Ball technology (where the ball is used to navigate around corners with such ease), the quick-draw telescopic reach wand and the motorised brush bar (something we would need for the cat hair that seems to find its way into the depths of our carpets). To top it off, Dyson offer a 5 YEAR guarantee if you buy one and from what we hear, they are fabulous with any repairs should anything go wrong. Let’s face it, anyone who owns a Dyson will tell you that they’ve owned one for 5, 10 or even 15 years and not had a problem. Let’s take a look at why others have bought this majestic of Dysons. – Root Cyclone technology – this is simply the famous Dyson feature that means not having to use dust bags and suction power is never reduced. The sucked in air and dirt travels in cyclones at high speeds so centrifugal forces throw the dirt, dust and hair into the bin container, which you just need to empty. The important point to note is that vacuum cleaners that use dust bags usually lose suction after a while as the air can’t flow as well due to dust particles clogging the system. – Ball technology – instead of the typical forward and backwards motion of a typical upright vacuum cleaner, this Dyson runs on a ball, making navigation around sofas, walls and other tricky areas much easier. – Motorised brush bar – our favourite part of this model. Those nasty little cat or dog hairs that find themselves deep in your carpets and rugs? 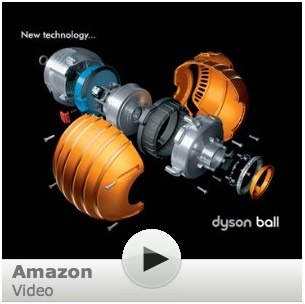 Don’t worry, this Dyson feature will get rid of these with no difficulty. The bristles on the brush bar spin at 90 times per second which eases these hard to reach particles out of carpets and rugs. – HEPA filter (High Efficiency Particle Air) – this filter traps tiny, tiny particles down to the size of 0.1 microns (0.0001 millimetres). This is great for allergy suffers as the vacuum cleaner rids of dust mites, dust mite faeces, mould and POLLEN! No need to replace as it’s use covers a lifetime and simply needs washing every now and then. – The bin container is clear so you can see when it needs emptying. – The British Allergy Foundation and 11 other global allergy associations approve this Dyson. – Quick-draw wand – this is a key feature of this Dyson lightweight vacuum cleaner. It extends 16 feet, that’s right 16 feet, to those areas that are difficult to reach. The release is indeed quick and in no time you’ll have covered those ceiling cobwebs, the nooks in the stairs and those crumbs that find themselves right next to the skirting. – with the list of features, you can vacuum clean your whole house ultra quickly. – easy to carry up and down stairs due to this model’s light weight. – a multitude of features to keep your home clean. – easy to dispose of bin contents (just one click). – quiet compared to most other upright vacuum cleaners. – cleaning won’t be a chore and your neighbours will be jealous! 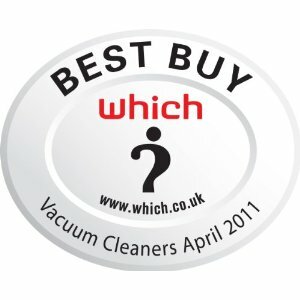 How does the Dyson DC25 compare to other vacuum cleaners? I love the Dyson DC25. 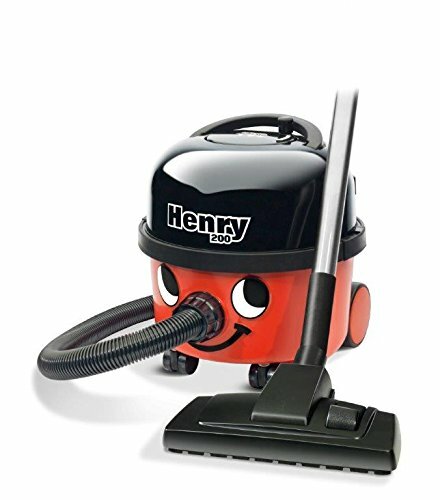 It’s the most powerful and reliable vacuum cleaner I’ve ever used. Miele hoovers are also really good. I especially like the fact that Dyson hoovers are well thought out and designed with the consumer in mind. I bought the DC25 months ago and have never been happier. True, the Dyson’s are very reliable. We have two – one for our small flat in London and one for our main family property out in Kent. The DC25 is easy to store away and a dream to use. I’m nearly 80 and this vac has been great for me. The only thing I wish for is a longer power lead to due the position of my plug sockets. 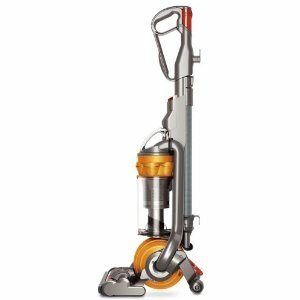 My last vacuum cleaner was a DC07 and it was very reliable and powerful.